When Boredom Strikes, We’ve Got You Covered! The April school break is fast approaching so we thought we’d give you the lowdown about some pretty sweet events happening near you. Every time holidays roll around it’s hard not to end up on the couch binge watching your favourite TV show, especially if you don’t really know what’s going on in Perth. 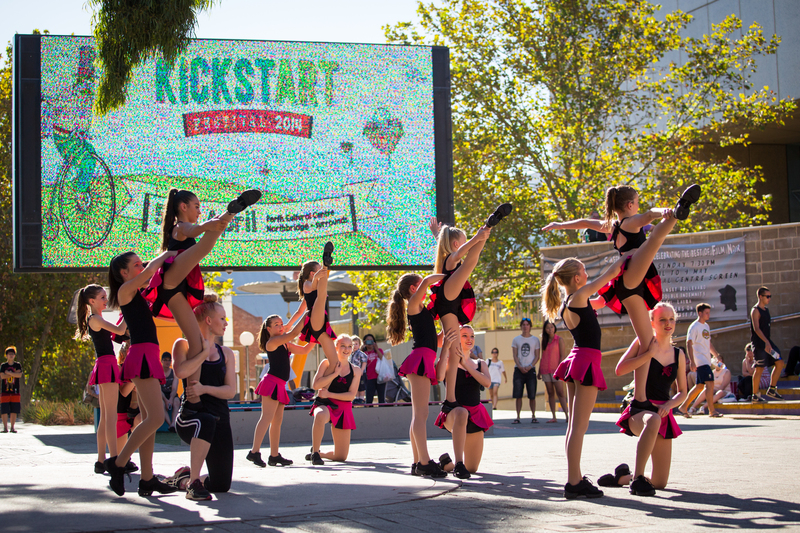 This April, KickstART Festival, an event that runs through National Week is gracing us with its presence. Brought to you by Propel Youth Arts WA, in partnership with the Department of Local Government and Communities, and featuring over 60 stalls showcasing emerging artists and designers as well as an array of community groups, arts organisations, youth service providers and delicious food vendors you’re bound to never utter the sentence “I’m bored” again. Catering for the cash-strapped students of WA, most of KickstART’s events are kept free thanks to generous donations from a bunch of supportive sponsors. Hone your creative skills that you never knew you had by participating in various arts workshops, head down to a forum and learn something new, check out an exhibition by talented local artists or take a breather at The Swamp Stage and just enjoy some ear bliss brought to you by Riley Pearce, Kat Wilson, Odlaw and more. No matter what you’re into, KickstART Festival will have something that’ll tickle your fancy. This year’s workshops offer a spectrum of activities from urban art and photography to learning the basics of Auslan (Australian Sign Language). With guests from their specialist areas including Beau Est Mien Prints and Design as well as Young Australian of the Year Drisana Levitzke-Gray, Propel have got you covered with interesting time occupiers designed to give you a new set of skills, we even hear that for those of you that can’t drive there’s a handy bike maintenance workshop to ensure your bicycle is in tip-top condition. Propel’s forums these school holidays feature tips from industry professionals on how to get published, entrepreneurial how-tos and the low down of identity politics. Each forum with question time at the end gives you access to interactive information you’ve been holding out to know. Use these holidays to up-skill or just experience Perth culture at its best as youth arts organisations band together to bring WA youth a festival to remember for National Youth Week.